President Maithripala Sirisena’s visit to meet with the Mahanayakes of the Buddhist Sangha in Kandy may turn out to be the pivotal move in the constitutional reform process. A week earlier they had publicly announced in a joint statement that there was no need to bring in new Constitution and that a new Constitution will create more conflicts in the country. As the Buddhist clergy is very influential with the 70 percent who are Sinhalese Buddhist especially on issues pertaining to identity, this threatened to be a major setback to the government’s constitutional reform process. Whether it is in tackling the issues connected with providing a facilitative environment for economic development, taking action against corruption or dealing with post-war accountability, the government has been faltering. It is unable to deliver on what it has promised. This has enabled the opposition to take the upper hand in the political debate. At the last presidential and general elections held in 2015 all parties promised some form of constitutional reform. At those elections Prime Minister Ranil Wickremesinghe and the UNP he leads were the most specific about the constitutional reform that they proposed. They specified a new constitution in which the executive presidential system, the devolution of power and the electoral system would be changed. With the change of government in 2015, it seemed that the new government would take expedited action to both draft and implement the new constitution. It passed a resolution in parliament that converted parliament into a constitutional assembly. A 20 member steering committee on constitutional reform was formed and which was headed by the Prime Minister. Six parliamentary sub committees were also appointed to prepare drafts of different sections of the new constitution. The government also embarked upon a hitherto unprecedented process of public consultations in order to obtain the views of the people on the proposed reforms of the constitution. It appointed a 19 member Public Representations Committee to hold consultations throughout the country and ascertain the views of the people in order to submit them to the drafters of the new constitution and also to parliament. This led to a six month process of intense consultations that took place with logistical support provided by governmental agencies. The committee then came out with a balanced and fair report that gave the main themes or headlines of public opinion on constitutional reform along with the difference recommendations from civil society. However, the subsequent failure of the government to launch a major educational and advocacy campaign on the report has cost it dearly. Unfortunately, the transparency with which the Public Representations Committee met its obligations has not been matched by the rest of the constitution drafting process. Technical committee reports were drafted by experts with participation of the parliamentarians in the six parliamentary sub committees. But members of those sub committees have publicly complained that the process was outside their control and they did not know what was being drafted and how they were being drafted. As a result most of the parliamentarians who were members of the constitutional assembly do not demonstrate a sense of ownership of the constitution drafting process. This has enabled the opposition to take the lead in going to the people and engaging in scaremongering without being challenged by government members. The President’s meeting with the Mahanayakes revealed that the absence of ownership of the constitution making process extends beyond the parliamentarians who have failed to champion the constitution reform process. It includes the religious clergy and others in civil society. In their meeting with the President the Buddhist prelates had complained that the constitution being drafted by the government was in collaboration with NGOs while it excluded them. However, most NGOs and civil society groups also feel excluded from the constitution making process. After they submitted their report members of the Public Representations Committee do not appear to be playing a role in the constitution making process either. The JVP, although in the opposition, has been taking a constructive approach to constitutional reform. JVP Parliamentarian Bimal Rathnayake has observed that President Maithripala Sirisena and Prime Minister Ranil Wickremesinghe should have educated the Mahanayakes on this topic. MP Ratnayake said the Buddhist prelates were influenced by facts and figures presented by racist groups who assume the government would pass a constitution harmful to the people of the country. The opposition has been claiming that the government intends to divide the country in accordance with the wishes of the Tamil Diaspora and the international community. Recently both President Sirisena and Prime Minister Wickremesinghe have been giving public assurances that the constitutional reforms will not lead to the removal of Buddhism from its foremost place in the constitution and that the unitary state would remain intact. 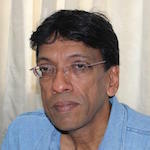 During a nearly two-hour long discussion held between him and the Mahanayaka Theras, in which a company of 22 bhikkhus were present with the Mahanayakes, President Sirisena had reassured them that the draft constitution would be shown to them prior to its presentation to parliament and their views would be incorporated. He pledged that the government will not bring any constitutional reforms that will undo the country’s unitary state or the foremost place for Buddhism that is provided in the constitution. The President also informed the Mahanayakes that there has been no new constitution drafted yet and that if there will be a draft constitution it will be presented to the Mahanayakes and the leaders of the clergy of other religions for review before it will go to parliament. The role that President Sirisena has played in coping with the Buddhist religious opposition to the constitutional reform process is indicative of his importance to the government. The president’s political strength lies in his ability to connect with the ethos of the Sinhalese majority. It is this affinity that enables the president to be trusted by the Buddhist prelates and by the majority Sinhalese population. On the other hand, the president also needs to recognize that he was elected not only by Sinhalese voters but also by Tamil and Muslim voters and he needs to be the president of a multi ethnic, multi religious and plural society. At the present time the constitutional reform process is being driven by the UNP component of the government that is headed by Prime Minister Wickremesinghe who has announced his resolve to go ahead with a new constitution. The prime minister has the wide learning and cosmopolitan outlook to appreciate the constitutional mechanisms and compromises needed to govern a multi ethnic multi religious and plural society. President Sirisena’s committed support to take the message to the people is necessary to get it accepted. What the president believes in, and is prepared to speak up for, is likely to be accepted by the majority community. It will also ensure the support of the SLFP group in parliament that accepts his leadership. This is why the president is the litmus test for political reform and why the president and prime minister and their respective parties need to continue to work together in the future rather than go their separate ways. Go and tell the President. There is no point in telling us. Sira and his cohorts in Kotte can’t even go to a funeral in the Village nowadays, although the Deshapremi Weerawansa said Sira and Ranil duo is only good as “Asking Hitting” card players at funerals………Even a Digital PH Meter wouldn’t handle the disdain and contempt the Sinhala Buddhist inhabitants have towards these betrayers…… But Sira can do with some Litmus paper to see how the 6 Mil Vellalas, Wahabis , Anglicans Elite and not forgetting the UNP dumb wits who go behind Keselwatta kid feel………….Vellala Kid Abraham who demanded the removal of Buddhism from the Constitution now wants to visit the Asgiriya Mahanayaka…………Dr Ranil went there yesterday with the Atapairikara…. May be that was to apologize for his Boy Minister Akila , calling the Mahanayaka a cheat , who put the hand in the Collection Box……Wonder what Sampathar is going to say to the Mahanayaka …….. The silver lining in the recent happenings is the frank discussion on the need or otherwise of a new constitution. The root cause of all this is the language/religion divide. Unfortunately after some seven decades it is as divisive as ever. A new constitution must address this issue.